Join us on Tuesday, February 5, 2013 in the McInnis Room of the Student Union Building for the annual Networking and Career Fair hosted by Dalhousie’s Career & Leadership Development Centre team. The fair will be open to students from 11am to 3pm. This is a great opportunity for students to communicate directly with employers about jobs and career opportunities, whether full-time, summer, experiential, or part-time. It also provides an excellent platform for employers to identify talented and skilled individuals ready to enter the workforce. Participating employers will also have the opportunity to hold on-campus interviews beginning at 1:00pm on the day of the event, as well as on Wedneday, February 6th from 9:00am to 4:00pm. Register and setup your account on our website at www.myCareer.dal.ca. Once you have set up an account, and it is approved please register for the Networking and Career Fair by logging in and selecting “Event Registration”. All registrations received after January 20, 2013 will to include a $50.00 late fee. If you have any further questions or require additional information, please contact Roshika Manning at recruit@dal.ca. Looking to identify talent from Dalhousie’s graduating finance students? Join us on Wednesday, September 12, 2012 for Super Wednesday, where employers will have the opportunity to identify talent from over 40 graduating finance students. Join us on campus to meet, network and interview marketing talent from Dalhousie’s Commerce, Management and MBA programs – all available for hire in May, 2013. Employers who are interested in meeting, networking, or hiring graduates with career interests in finance are encouraged to attend our Super Wednesday event. A copy of the Finance Class of 2013 Resume Booklet – highlighting the resumes and profiles of all participating students. Pitch Presentation – watch live 60-second elevator pitches from each participating student. 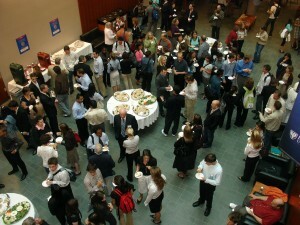 Networking – Assess first impressions during our networking luncheon with students, staff and other employers. 1:1 Interviews – select individual interviews with students you’ve identified as quality talent. Your Brand on Campus – Logo placement on the Management Career Services website and all associated marketing materials. Pitch Presentation – Recieve 5 minutes to pitch your business associated career paths to a room of graduating marketing students. Exclusivity to Students – Participating students will be notified of your job opportunities directly through email. Your copy of the Finance Class of 2013 Resume Booklet. Dalhousie Parking Pass for Monday, September 24, 2012. Looking to identify talent from Dalhousie’s graduating marketing students? 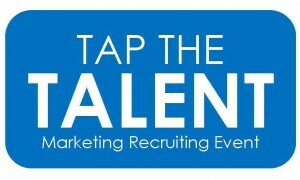 Join us on Monday, September 24, 2012 for Tap the Talent, where employers will have the opportunity to identify talent from over 40 graduating marketing students. Available for hire in May, 2013 our students are interested in marketing, sales and business management opportunities. Join us on campus to meet, network and interview marketing talent from Dalhousie’s Commerce, Management and MBA programs. Employers who are interested in meeting, networking, or hiring graduates with career interests in marketing, sales and business management are encouraged to attend our Tap the Talent event. Your copy of the Marketing Class of 2013 Resume Booklet. On Monday, September 24, 2012, Management Career Services (MCS) welcomes Canada’s top employers to participate in our interactive recruiting event, Tap The Talent. Employers will join us on campus specifically to assess and recruit Dalhousie’s graduating marketing students. This is your opportunity to showcase your skills and experience, make industry connections and potentially land a full-time job! Participating students will be showcased as Dalhousie’s top marketing talent available for hire in May, 2013. Students will have their profiles and resumes packaged in an booklet and sent to a number of recruiters in the marketing industry. At the Tap The Talent event, participating students will have the opportunity to make a first impression by networking during a lunch reception and by delivering an ‘elevator pitch’ to employers joining us on campus. Students will be selected for interviews according to their profile, resume and/or personal impression. Unsure who you want to work for? Employers joining us on campus will also be delivering their own ‘evelavtor pitch’ to you; describing their company and the benefits of working for them. If you are graduating in May, 2013 from the Commerce, Management or CRMBA program and are looking for full-time career opportunities in the marketing industry, we encourage you to register. In order to participate in Tap The Talent, students must submit the following information to mcscoop1@dal.ca by Thursday, August, 23, 2012. Registration forms are also available online. Your name, program, year of study and your Banner Number. Arrange for payment of the deposit by credit card or cash (See details below). Submit your resume and profile in Word format. Please use the subject line: ‘Tap The Talent Documents’. The Tap The Talent event is free of charge, unless you fail to show up. MCS requires all student participants to provide a $100 deposit to confirm your participation. All deposists will be returned to participating students concluding the Tap The Talent event. Because a number of employer parnters are coming on campus specifically to meet you, the deposit will ensure student indeed attend and participate. A $100 deposit is payable by credit card or cash. Please phone 902-494-1515 or visit MCS, (Rowe, 2100) to arrange your payment. For further information, contact Jonathan Perry at jonathan.perry@dal.ca or call MCS at 902-494-1515. On Wednesday, September 12, 2012, Management Career Services (MCS) welcomes Canada’s top employers to participate in our interactive recruiting event, Super Wednesday. Employers will join us on campus specifically to assess and recruit Dalhousie’s graduating finance students. This is your opportunity to showcase your skills and experience, make industry connections and potentially land a full-time job! Participating students will be showcased as Dalhousie’s top finance talent available for hire in May, 2013. Students will have their profiles and resumes packaged in an booklet and sent to a number of recruiters in the finance industry. At the Super Wednesday event, participating students will have the opportunity to make a first impression by networking during a lunch reception and by delivering an ‘elevator pitch’ to employers joining us on campus. Students will be selected for interviews according to their profile, resume and/or personal impression. If you are graduating in May, 2013 from the Commerce, Management or CRMBA program and are looking for full-time career opportunities in the Finance industry, we encourage you to register. In order to participate in Super Wednesday, students must submit the following information to mcscoop1@dal.ca by Friday, August 17, 2012. Registration forms are also available online. Submit your resume and profile in Word format. Please use the subject line: ‘Super Wednesday Documents’. The Super Wednesday event is free of charge, unless you fail to show up. MCS requires all student participants to provide a $100 deposit to confirm your participation. All deposists will be returned to participating students concluding the Super Wednesday event. Because a number of employer parnters are coming on campus specifically to meet you, the deposit will ensure student indeed attend and participate. A $100 deposit is payable by credit card or cash. Please phone 902-494-1515 or visit MCS, (Rowe, 2100) to arrange your payment. For further information, contact Kelly Tracey (kelly.tracey@dal.ca) or Lori Bauld (lori.bauld@dal.ca) by email or call MCS at 902-494-1515. Our Year at a Glance – Connecting you with the best, the brightest and most capable new talent! We realize you are looking for the best, the brightest, and the most capable employees to fill your needs. We also know that recruitment strategies can be “routine” at times. Management Career Services offers excitement to the process through the events we offer. 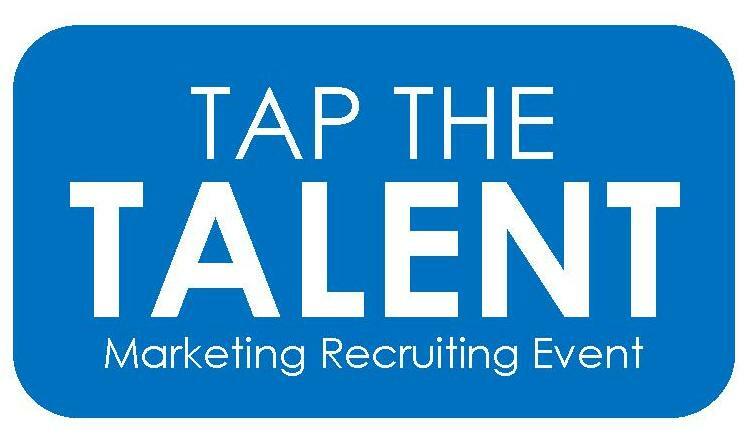 Tap the Talent is an interactive event, taking place in September of each year, that connects you to undergraduate and graduate students with career interests in marketing, sales and business management. The plethora of talent is made visible in an event booklet of profiles and resumes of all the participating students. From this booklet you can pre-select candidates for interviews in advance of the event. On the day of the event, students will have one more opportunity to sell themselves through the oral presentation of their one-minute elevator pitches. If other students impress you, and we are sure they will, you will be given the chance to choose “Wild Cards” to be added to your interview list for the day. For more information on this event, contact our Marketing Career and Recruitment Specialist, Jonathan Perry at Jonathan.Perry@Dal.ca or (902) 494-6936. This unique recruitment and networking opportunity offers current and recently graduated students three Canadian tours in both the private and public sectors. Corporate tours give your organization a chance to provide potential future employees an inside perspective of your organizations’ work, along with your values and culture. Essentially, we bring the talent to you! Corporate tours serve as an excellent way to scout new talent while in the comfort of your office. They give you a chance to engage with students who might not otherwise consider your organization while also evaluating our talented students through networking. During the visit, we provide profile books containing profiles and resumes of each student for your review. Locations typically include the Toronto and Calgary tour offered in April/May and the Ottawa tour offered in December. Super Wednesday provides you with the opportunity to recruit the best and brightest students geared toward a career in the Finance Industry. Taking place in September of each year, this event easily connects you with upper-year undergraduate and graduate students with a time-saving structure that brings quality applicants to the surface. Similar in structure to our Tap the Talent event, interview selection begins when you receive the profile book containing profiles and resumes of participating students. On the Wednesday of the event, you will deliver a quick pitch to our students, drawing further interest in your organization, after which you will then examine the caliber of our students as they give their one-minute elevator pitches. 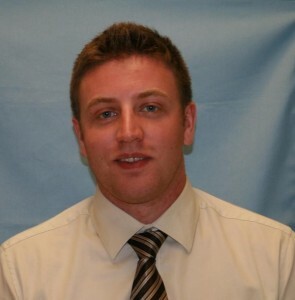 Once you have evaluated our students, you may then select “wild card” candidates to add to your interview list. For more information on this event, contact our Financial Services Career and Recruitment Specialist, Lori Bauld at Lori.Bauld@Dal.ca or (902) 494-7548. The Scotiabank Interview Competition involves your assistance with the development of our students, and provides you with early exposure to highly engaged students. Each November, since 2006, students join this event to develop their interview skills, learn from their peers and network with employers. In this experiential learning opportunity, students present their elevator pitches and interviewing skills to you in hopes of building a network and receiving advice that will help them develop skills that can be used to gain a career in your organization. You have the unique ability to relay to students exactly what can help them reach their career goals as well as scope fresh talent while networking with participants. The event is a learning process for our students and gives them a chance to win some money and a potential job! The panel of employer interviewers included representatives from Scotiabank and a number of organizations who were all extremely impressed with the caliber of students in this year’s competition. In fact, the first place was a tie between Dalhousie students; Michael Parcon (MBA) and Daniel Bartek (BComm) with Carrie Qi (Saint Mary’s University) close behind in second place. Management Career Services along with the Accounting Society starts the new school year each September by inviting you to Dalhousie to scout our talent! This is your chance to draw students to your organization for co-op and graduate recruitment. Event sponsors have the opportunity to participate in panel discussions where they can speak to accounting students about career paths in their companies, and openly answer questions from students in the audience. 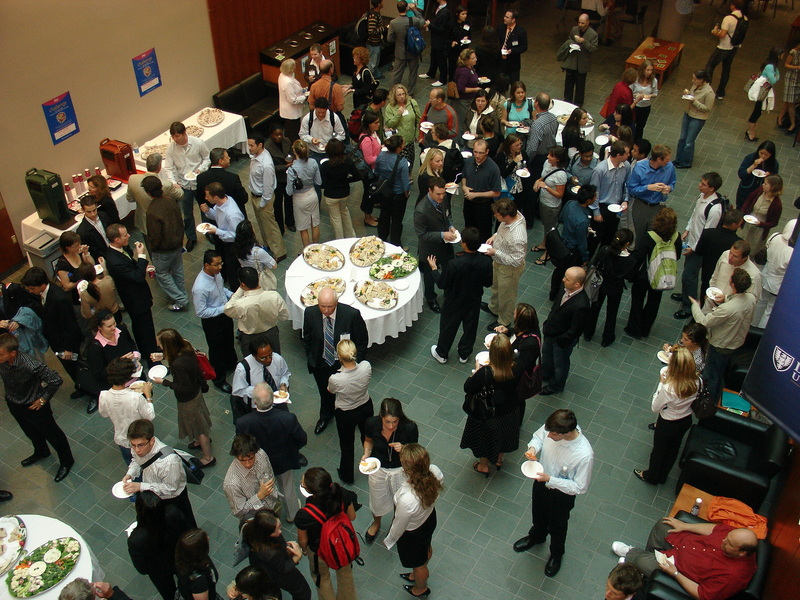 Following the panel discussion, we host a networking event for all employers and students. This networking session is filled with representatives from over 20 different organizations. You will be provided the opportunity to speak one-on-one with students, making those first connections that are so critical in securing future talent.